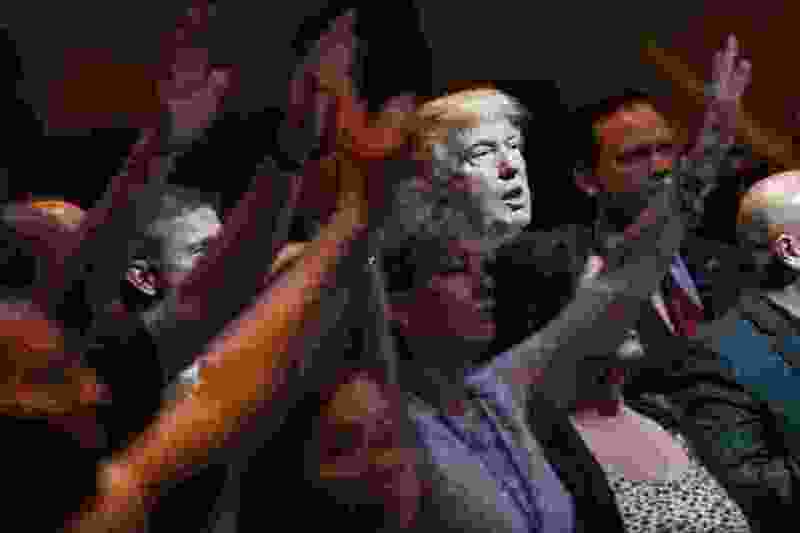 (AP Photo/Evan Vucci, File)In this Oct. 30, 2016, photo, Republican presidential candidate Donald Trump stands during a service at the International Church of Las Vegas in Las Vegas. Washington • A new survey shows a sharp racial and religious divide over whether the actions of President Donald Trump are encouraging white supremacist organizations. The findings, released Monday, are part of Public Religion Research Institute’s 2018 American Values Survey, which addressed U.S. views on issues such as the presidency, the #MeToo movement, immigration and police brutality. Jones, author of “The End of White Christian America,” said he is often surprised by the way white evangelicals and African-American Protestants end up at polar opposites on surveys.